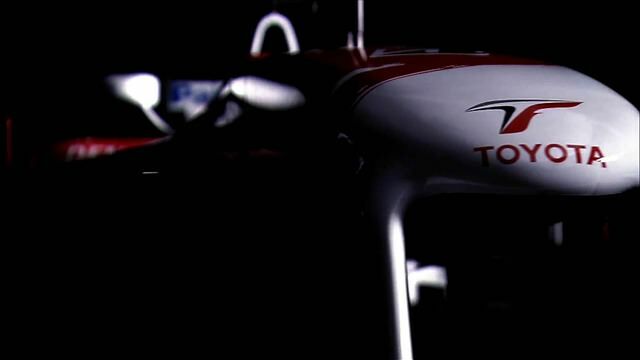 Formula One teams have been dishing out corporate videos for years. They're almost always designed to push the "message" in the most unsubtle and unoriginal way imaginable. We try and avoid these full length promos as much as possible, but just this once we're going to capitulate and play a clip unedited, and in its entirety. We're doing it because this trailer from Toyota is special, this one was filmed in high definition. When Toyota Motorsport announced that the debut of their 2009 challenger would be accompanied by a blockbuster movie trailer, we may have laughed at the idea once or twice. After all, if you're going to bring Hollywood to Formula One you'd better do it right, but with this short film I think the team have delivered. It may be the wrong side of cheesy, and the drivers clearly aren't missing their vocation in life, but what we have here is a team stepping up to the plate, and doing what the BBC either can't or wont do, and that is deliver F1 video in glorious 1080p widescreen. If you're watching in your browser, make sure you hit fullscreen and turn that volume up!